Ken: 8:12 here on this Friday morning, but I’m doing my show just for you. It’s back-to-school time and as a parent, it can be tough to switch the kids from play mode back to learn mode. Cody: Yeah. This morning Courtney and her favorite nerd have the solution to the problem. Courtney: Ryan Eldridge has all the tips and tricks. Courtney: They don’t fall for the banana in the tailpipe. Ryan: So this is mainly for your elementary school kids when you still have some control. All right. So first, we’re gonna talk about our nearest star. This is called the DIY Sun Science app. This is pretty cool. Now, when I first looked at that I was like, “Who cares about the sun?” Right? Nobody cares about the sun, but this is actually pretty neat. Look, did you know that before there were computers, we had to tell time with shadows? Ryan: I didn’t know that. So you can make your own little sundial. It shows you how to make a solar oven. It shows you all kinds of little fun things you can do. Courtney: Solar ovens are awesome. Ryan: Plus facts, plus all kinds of stuff. It’s totally free and it’s funded by NASA. So your tax dollars at work. Courtney: Oh, my God. My daughter loves these. Yes. Ryan: Yeah. They’re super cool. Well, there’s an app that you can also use. Now, don’t pay attention to this 2.4 stars, okay? Ryan: They’re complaining because you got to pay for the full app version. Courtney: Okay. I get you. Ryan: If you look at the reviews, you’ll see. Yeah, but it’s really cool. You get a little taster. They give you something for free so you can kind of play with a little bit, but if you’re really into the Weird but True series, it’s so fun. Plus the kids can type in little things like, “I want to know about the sun,” and it’ll tell you all kinds of weird facts. So it’s kind of fun. Courtney: I like that one. Ryan: Yeah. This is her homework and she says she loves doing it. When Jackson my fourth grader does his homework, we hand her this iPad and she does all this stuff. Ryan: And it just helps her memorize Sight Words, even though she can’t necessarily read them. She can get used to seeing them and then she knows what they are when she sees them. Courtney: And she’s comfortable with them. Yeah. Courtney: Stop it, Julian. It’s three. Ryan: We’re gonna do that. And then 2+3 is? Courtney: Is four, but I wanted it to be up here. Courtney: C’mon, C’mon. Three. Okay. We can get that one. 10, one. C’mon. Oh, bingo. Ryan. We win. We win. Courtney: It’s annoying, I can tell you. Ryan: Math Bingo, it’s free to play and it’s a lot of fun. Courtney: All right. Last one. Ryan: Last one. Stack the States. Courtney: Oh, my gosh. My daughter loves this one too. Ryan: It’s like Tetris for states, which is kind of fun and then also you get to know where the states are, you get to open new states when you complete challenges. It gives you little facts about each state. There are states other than California. Ryan: I didn’t know this either. This is new to me. Texas? Who’s ever had of that? Come on. Courtney: I love this nerd. Nerds on Call, all the info we’re gonna link to our website, gooddaysacramento.com under show info and today’s date. Ryan, you rock. Courtney: All right, guys. Back over to you. Ken: Now to work. Thank you. Well, Summer vacation is just about over. Time to jump start our kids’ brains back into learning mode! 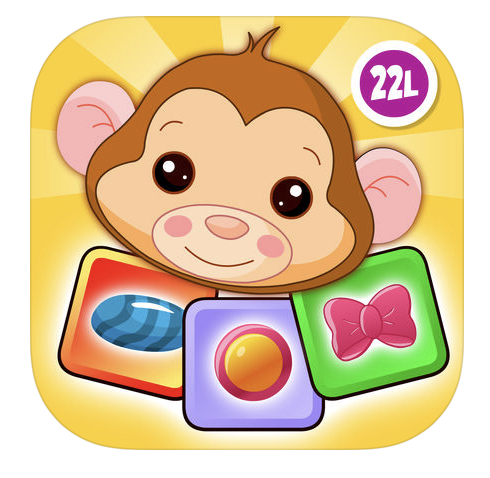 But before you gear yourself up to prize those tablets from their clammy game-playin’ fingers, why not check out some of these cool app specifically designed to make learning fun. It’s large. It’s orange. It delivers life-giving heat to the solar system. 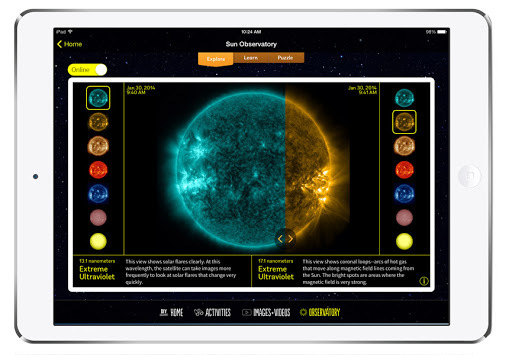 These and even more amazing facts can be learned through NASA’s slick educational app, DIY Sun Science. I know what you’re thinking. Another space app with a cool spacey background which throws all these quasi-interesting space facts at my kid. Next. OK first up, yes. In fairness, it does feature a range of cool spacey backgrounds. But the thing which makes this app killer is that it’s not just about information. It’s about doing stuff. Ever wanted to see the sun in different wavelengths? This app can make that happen. Looking for step-by-step instructions on how to safely see UV light? Grab a sheet of wax paper, six onions and a jar of marmalade and that can happen too (actual ingredients may vary but rest assured they’re widely available and inexpensive). This app doesn’t just make the Sun fun, it makes the process of learning a blast. Most kids like weirdly interesting factoids and this app is brimming with them. Ever get into an argument with a stranger about the average width of a hippopotamus’ lips? Every other week, am I right? Hint: it’s more than 18 inches. Ever wondered if girls have more taste buds than boys? This app has the answer (they do). These are just a tiny taste (see what we did there?) 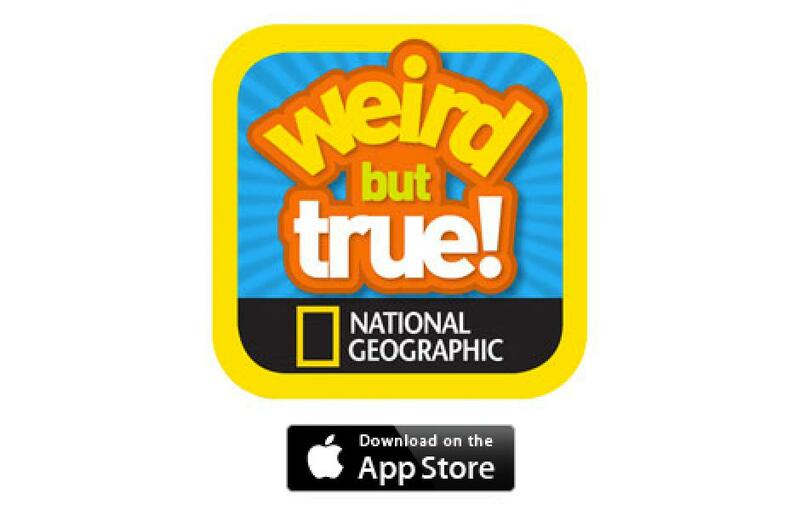 of thousands of weird and wonderful facts you’ll find tucked away in the Weird But True app. Adding to its appeal, Weird But True is bright, colorful and chock-a-block with cute pictures of animals. It’s a great way to get your kids curious about the strange world we live in. The old-fashioned way to help kids with these words was to use flashcards. Newsflash – those things are boring. Sight Words delivers 18 unique games with a bunch of fun scenarios to capture a kid’s imagination. Helping a monkey fly, feeding a monster cookies and custom-building your own ice cream have to be more fun than flashcards, right? Sight Words is a great way to get kids interested in spelling out words and increasing their word comprehension. There’s a reason so many older people play bingo and it’s not just that admission is free on Tuesday and Thursday nights. Bingo is a metaphor for life. Few corners of the human experience can deliver the same roller coaster of emotion as the noble game of philosophers and kings … that is bingo. When the good folks at ABCYA.com (purveyor of primo educational games for kids) made Math Bingo, they invented one of the best ways yet devised to make doing sums fun for kids. You’ve got weird monsters. Bright colors. You can level up as you get better. It has it all. 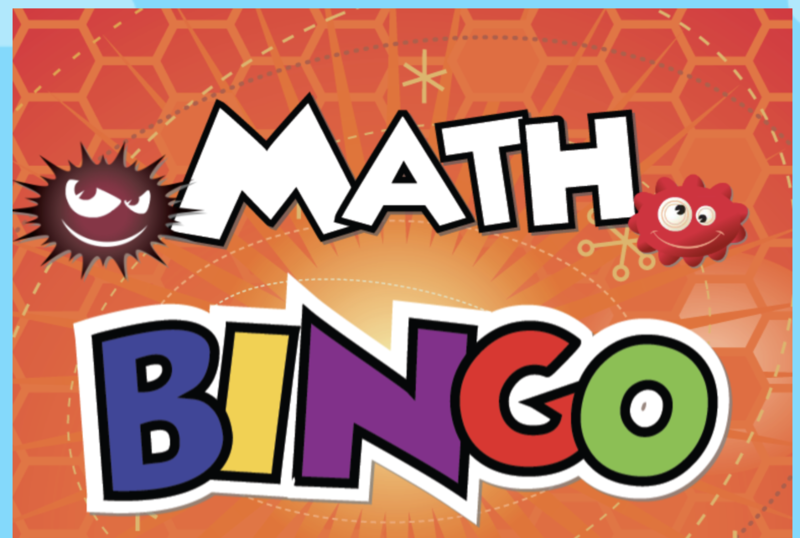 Math Bingo is a fantastic way for kids to gain confidence with numbers, develop their mental arithmetic and build up an instinctive memory for calculation. When they invented the US of A, the founding fathers got a lot of stuff right. But cheese and rice! They should have placed an upper limit on the number of states we all have to remember. I mean there has to be … like 600? At least! Not only will Stack the States teach your kids how many states there actually are (50 – who knew?) 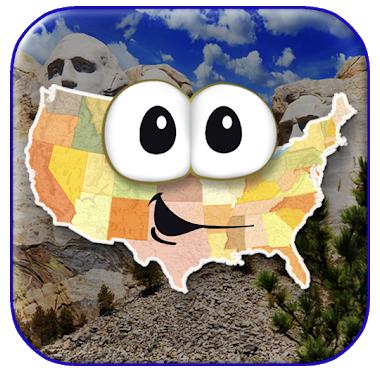 this app will also teach you their names, how to remember them, what they look like on a map and how they all jigsaw together into the glorious chunk o’ land that is America. Better yet, they set it all up as a game! Think of it as map Jenga jigsaw trivia… with a dash of civics to spice things up. Build the states high enough and you’ll even unlock new games and challenges. It’s pretty cool and after a few rounds on this, your kid’s US geography is going to be on-point. Learning not only can be fun. It should be fun! The apps in this list are just a tiny sample of the cool resources you can use to enrich your kids’ learning life. If you have more suggestions we’d love to hear them.